There are so many reasons to outsource your document storage to the right company. 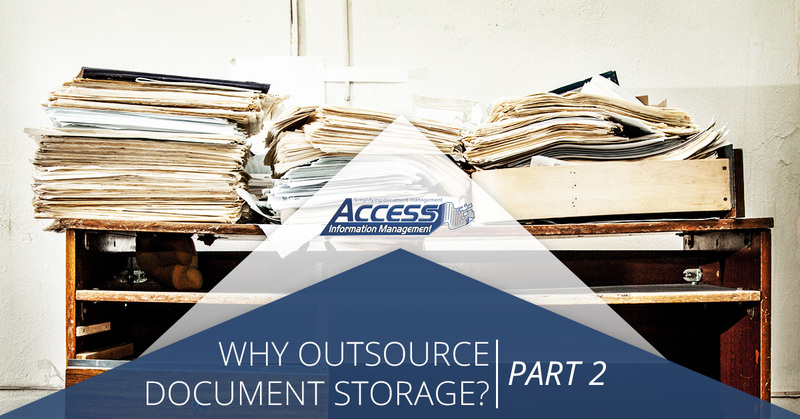 When it comes to document storage, you have two options: you could do it yourself or you could outsource it. Many companies are already handling their own document storage, and that makes stomaching the thought of paying someone else to do it difficult. However, when you hire the right company, document storage can be cost-effective and incredibly smart. In our previous blog, we started going over the top 10 reasons to outsource your document storage, and today, we’ll be finishing up our list. #6. It improves workplace efficiency. When you keep all of your documents on hand, it often makes it more difficult and time-consuming to find the ones you really need. When you’re able to downsize to just the files you need, it allows you to find what you need faster and with less hassle. In short, time is money, and outsourcing your document storage can help you save a lot more of it. #7. It could help you avoid legal fees and penalties. During audit requests and legal discoveries, you have to provide necessary information and documentation within certain time limits. When you have a lot of unuseful or outdated documents clogging up your space, it can make it difficult to meet those time limits. And when you don’t, you may be subject to penalties or legal fees. Outsourcing document storage allows you to free up space and find what you need more efficiently, which could help you avoid penalties and legal fees in the future. #8. It ensures business continuity in the event of a disaster. A disaster can happen at a moment’s notice, and losing all of the information your company needs is a surefire way to bring your business to a screeching halt. Outsourcing your storage ensures that the information you need is always there when you need it, even in the event that the unthinkable occurs. Not only does this protect your patients, clients or customers, but it also strengthens your business continuity plan. #9. It could help you save money. 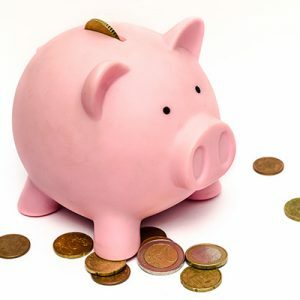 While it’s true that outsourcing your document storage isn’t free, when you consider the many ways that it can actually help you save money, it becomes much more affordable and, for many businesses, it could even save them more than their existing solution. As we mentioned, it could help you avoid losing money in the event of a disaster, avoid legal fees and penalties, make better use of your existing staff, free up the space you need in your commercial space and so much more. #10. It gives you peace of mind. Outsourcing your document storage helps to eliminate many different risks that every business faces. These risks to your data include security breaches, fires, natural disasters and many, many more, and by choosing to work with the right document storage company, you are also giving you increased peace of mind and reducing your everyday stress. Are you ready to start experiencing the many benefits of outsourcing your document storage? As you can see, there are so many reasons to hire the right company for your document storage rather than doing it yourself, and at Access Information Management, we are proud to say that we are that company. 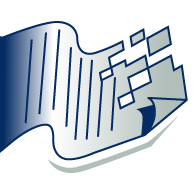 We provide professional document storage, but we are a full-service document management company, which means that we can meet all of your needs, including document imaging, shredding, data backup and more. We work with businesses of all shapes and sizes in the Chicago area, and you can rest assured that we’ve got what it takes to meet all of your needs. Contact us today for your free estimate.